To think a tragedy like this would affect my school, let alone my classroom, was just out of the realm of possibility to me. By God's grace I was not in attendance, but had close friends who were, one in particular who was injured. My world was turned upside down that day, and my heart filled with sorrow as well as guilt. Guilt of not being there, but I gave thanks that I wasn't. 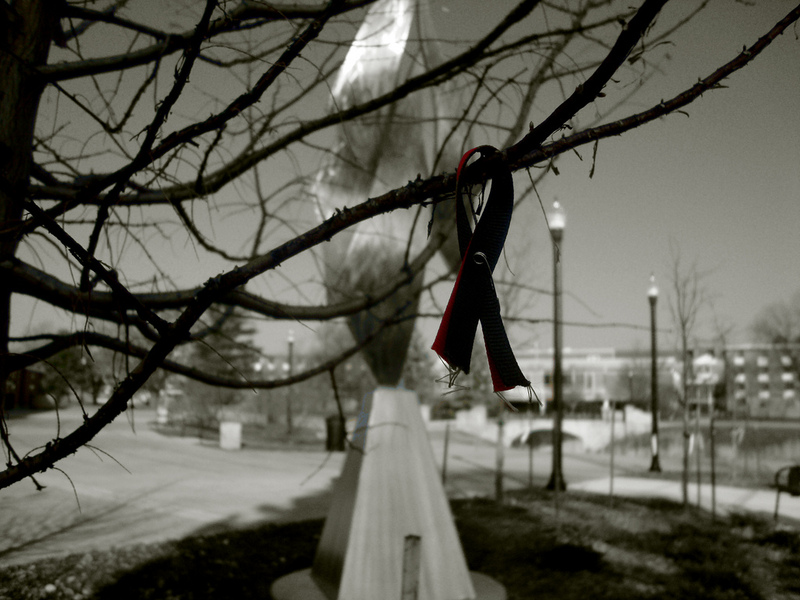 This photo was taken in November of 2009 during my return to campus nearly 1 year later. I was a senior in 2008. Forward Together Forward. This contribution is dedicated to Patrick Korellis.